Oakmont’s very own folk music quartet More Joy performed at Oakmont’s Berger Center auditorium on Saturday, September 22 at 7 pm. On Thursday, September 13 at 7pm in the Berger Center, Oakmont Lifelong Learning featured Kasey Knudsen. Kasey Knudsen is a San Francisco based saxophonist, composer & educator. She earned her BA in Jazz Composition from Berklee College of Music in 2001. Since relocating to the San Francisco Bay Area, Knudsen has been commissioned by the Jazzschool’s Emerging Artist Series to write and perform new work as well as Intersection For The Arts and the De Young Museum. She leads her own trio and sextet and co leads The Schimscheimer Family Trio along with bay area drummer Jon Arkin & pianist Michael Coleman as well as The Holly Martins with vocalist Lorin Benedict and guitarist Eric Vogler. Cost – $20 per ticket. Refreshments will be served. BYOB. Was held Friday, July 6 at 7pm in the Berger Center. Thalea String Quartet is a young and exciting professional quartet dedicated to bringing timeless music that connects with audiences on a musical, emotional and personal level. These dedicated educators have been mentored by members of the Julliard, Kronos, Takacs, Pacifica and Danish String Quartets. Was held Saturday, June 2 at 2pm in the Berger Center. 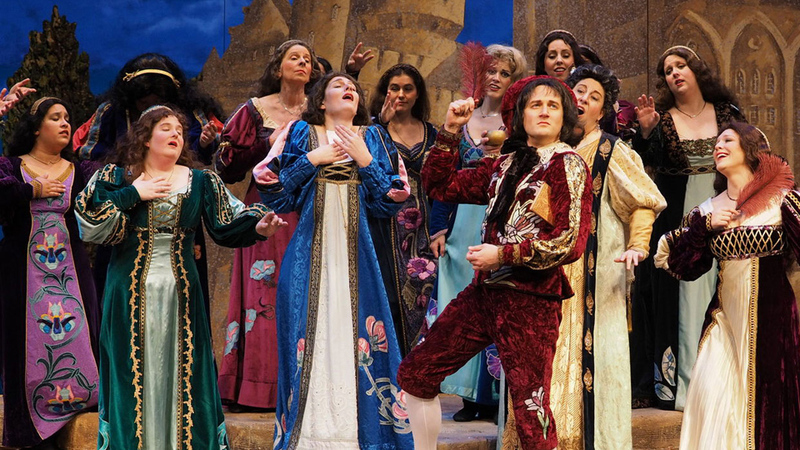 Lamplighters Music Theatre is a San Francisco based non-profit theatre company founded in 1952 to produce the comic operas of Gilbert & Sullivan and other works of comparable wit, literacy and musical merit. They held their first-time choral matinee at Oakmont where they performed selections from several operas. Following the performance, attendees were invited to meet and socialize with the chorus members.